Industrial IoT a key force in reducing the environmental impact of the agriculture sector. Research finds that half of agricultural organizations are pursuing Industrial IoT to improve environmental footprint. Many of the IoT professionals in the Twin Cities area work in agriculture (or transportation and manufacturing of agricultural goods). Here’s a perspective from Farm Futures on where IoT is going in the Ag world. Of note is of course the perceived success rate of IoT implementations for compliance and some of the communication methodologies used which includes satellite. Read on! A new study undertaken on behalf of Inmarsat finds Improving the environmental sustainability of their operations through the adoption of Industrial Internet of Things technologies is a crucial priority for organizations in the agriculture sector. Inmarsat is a provider of global mobile satellite communications services. The research reveals that two of the largest drivers behind the adoption of IIoT-based solutions across the agriculture sector are monitoring of environmental conditions (such as soil quality, pollutant emissions and environmental contamination) and improving resource efficiency. The research also highlighted the good news that many agriculture organizations are realizing their sustainability objectives through the use of IIoT. Two thirds of respondents with fully deployed or trial-stage IIoT solutions stated they were achieving environmental sustainability improvements. With many agriculture organizations operating in remote regions, where terrestrial networks are not available, satellite communications networks are key to achieving this and achieving the benefits that IIoT has to offer. The research found those organizations with unreliable connectivity were far less likely to be achieving improved environmental sustainability, reinforcing the importance of connectivity for successful IIoT deployments. “The agriculture sector is faced with a multitude of challenges, tasked with increasing the amount of food and raw materials it produces while reducing its impact on the environment and adhering to stricter government regulations. 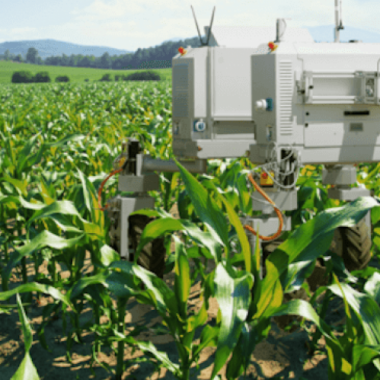 Our research shows that agriculture organizations are adopting IIoT to help them achieve these goals, and that many are succeeding in this aim,” said Chris Harry Thomas, Director of Sector Development Agriculture at Inmarsat Enterprise.